Give that special Sea Lover of yours a taste of the sea with our By The Sea Angel Lobster pin or tie-tac. This great nautical pin offers the wearer special protection and guidance when on the sea and the sea can be a dangerous place at times. A little extra protection can only be a good thing because you can never has enough protection on the high seas. 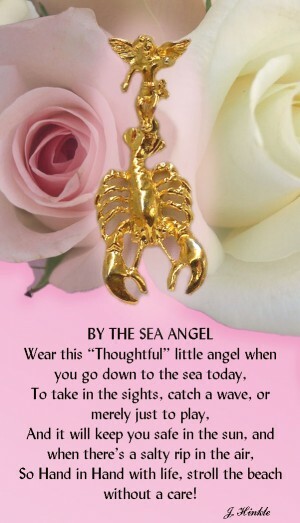 So give our By The Sea Angel Lobster pin to someone to give them that extra protection! Our By The Sea Angel Lobster comes in a shinny 14Kt gold finish and comes on a colorful greeting card that can be used as a gift card. 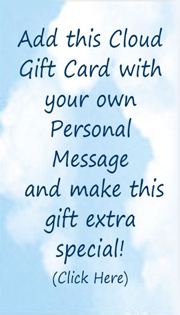 Each card has a thought provoking verse with a “To and From” on the back giving the ability to sign and address this special gift for that special someone.